In 2019, we will send our scholars to three different universities. For a ninth year in a row Galapagos will send up to twelve scholars to Northwestern University’s Gifted and Talented Camp. For the third year in a row, we will send up to twelve scholars to Northern Illinois University’s STEM camp. Finally, we will send our second group of scholars to Harvard University for a Model United Nations camp. 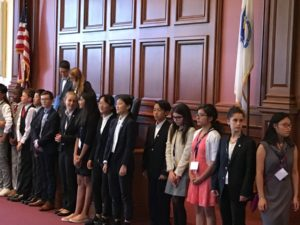 This program allows our scholars to assume ambassadorial roles to debate and negotiate topics ranging from nuclear proliferation to gender equality.